Father’s Day is coming up this weekend. Have you found the perfect gift to show your Dad how much you care? 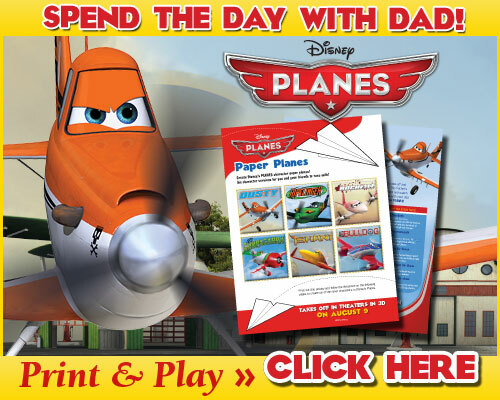 In honor of Disney’s PLANES and Father’s Day here is a fun e card and activity pages for you to share with your Dad. Spend the Day with Dad with these activity pages! Disney’s PLANES will fly into theaters on August 9th. Don’t forget to make a date with Dad to see this fun animated film that looks like it will delight kids as well as kids at heart! I’m printing this out for my hubby! We are looking forward to this movie.